100% virgin wool (yarn count Nm 30/2), origin in Italy. Scarf made in Germany. Comes in black and bordeaux-coloured. Width 51 cm, length 150 cm. 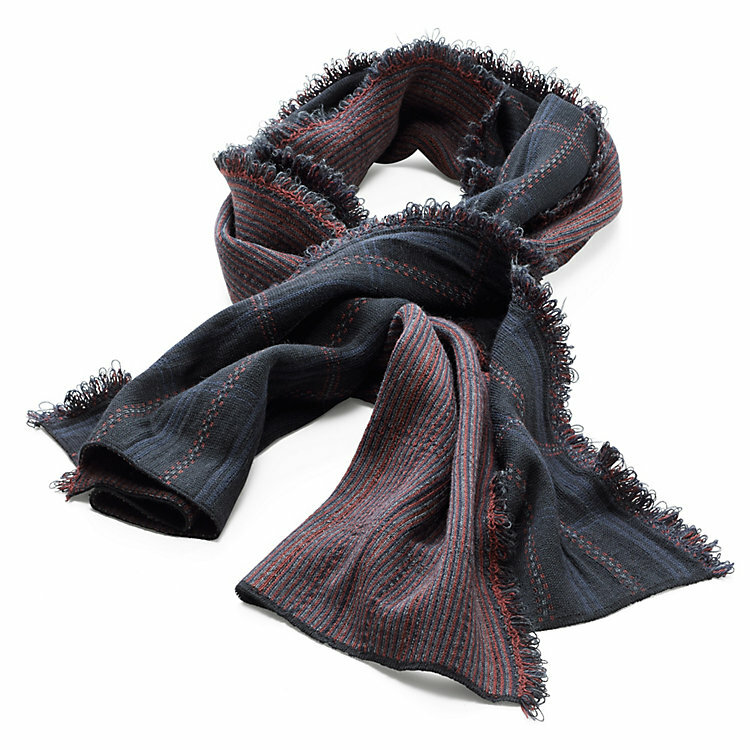 The fringe on this scarf runs down the whole length of the sides. One side of the scarf is dominated by black wool yarn; the other side is done mainly in Bordeaux colours.